Coffee subscriptions make it easy and affordable to enjoy high-quality blends from well-regarded purveyors. No grocery store stress or specialty store snobbery—just delicious, convenient coffee delivered to your door. This list features our hands-down favorite coffee subscription services, including programs to suit both new and experienced palates. Want more? See our full list of available coffee subscription boxes here! Price: Plans start at $16.00 per month. Sign up here! About the box: Sudden Coffee delivers single-origin coffee that you can take with you on the go. The company roasts their beans (light and medium roasts) in small batches, then uses a unique dry-freezing process to “lock in” the aroma. No flavor-free instant coffee here! Each serving comes individually measured and pre-packed, and all you have to do is add water or milk to make a delicious cup of joe. Choose from an 8-cup pack (which you can also try as a one-time purchase), a 24-cup pouch, or a 48-cup pack, and set your subscription frequency for a pace that fits your needs. Flavor profiles: Light and medium roasts from Equator and the famed Intelligentsia Coffee. These blends may be ready in moments, but they’re a big step above your average instant coffee! Check out our Sudden Coffee reviews to learn more. Ships to US only. Price: Plans start at $16.50 per month. Sign up here! Coupon: Follow this link to get your first month for $5 and free shipping! About the box: Bean Box is a Seattle based coffee-subscription company on a mission to share the best of Seattle’s delicious roasts with coffee lovers around the world. They work with small-batch, independent roasters, so you can be sure you’re getting thoughtful, high-quality blends in every box. Flavor profiles: Choose from light, medium, dark, and decaf roasts. Bean Box has an amazing variety of coffees (over 712 in total), so they’re prepped to appeal to a wide variety of tastes. Check out our Bean Box reviews for more! Ships free to the US only. Price: Subscriptions start at $10.29 per shipment. Sign up here! About the box: Your Driftaway Coffee subscription experience begins with a tasting kit that includes 4 types of coffee. Driftaway uses your feedback on those flavors to match you with whole-bean coffees that they send your way according to your preferred schedule. You can also choose the size of bags you want, depending on your needs—choose to have 11 or 16 oz. bags sent weekly, every two weeks, or every month. Flavor profiles: A full range of options from light to dark roasts. The sampler includes 4 flavors to gauge: fruity (lighter roasts from Africa), classic (standard brew), balanced (medium roast, medium acidity), and bold (in-house dark roast). Fun fact: With every purchase, Driftaway donates to World Coffee Research (WCR), which supports the lives and work of coffee farmers around the world. Read our Driftaway Coffee reviews to learn more. Ships free to US. Subscriptions cost more for international customers, but that cost includes shipping. Price: Plans start at $15.99 per month. Sign up here! About the box: MistoBox makes it easy to sample the best coffees from purveyors around the country. Each box includes a 12 oz. bag of coffee picked to match your taste preferences and shipped at a frequency that’s convenient for you. When you sign up, you’ll be matched with a “coffee curator”—think of them as the coffee equivalent of a personal stylist. Your curator will use your preferences to pick the right coffees for you, and they’re always available for questions and feedback! Flavor profiles: Choose from options including single origin, espresso, blends, and decaf. MistoBox works with 50+ purveyors, including Verve, Intelligentsia, Crema, Ruby, Onyx, and Olympia. Check out our MistoBox reviews to learn more. Ships to US. Price: Plans start at $9. Sign up here! About the box: Atlas Coffee Club sends you a signature coffee from a new country each month, including destinations such as Ethiopia, Brazil, Peru, Indonesia, and more. Their single-origin coffees come in whole bean and ground options, and each variety comes with a postcard of information and master brewing tips. Choose the amount of coffee and delivery schedule that best fits your needs and budget, and start exploring! Flavor profiles: These freshly roasted coffees range from light to dark roasts. When you sign up, you’ll be able to choose whether you prefer “light to medium” roasts, “medium to dark” roasts, or a variety. Check out our Atlas Coffee Club reviews to learn more. Ships to US for $4.95 and Canada (add $6). Price: $34.99 per month or save with longer subscriptions. Sign up here! About the subscription: Hawaii Coffee Box specializes in coffees from the Hawaiian islands. They work with local farms and roasters around the islands, meaning each whole-bean variety you receive is as authentic as it gets. Sometimes, you’ll even get an additional surprise (like a coffee-related sweet treat) in your shipment! Flavor profile: Fresh-roasted, whole bean coffees ranging from light to dark roasts. Read our Hawaii Coffee Box reviews to learn more. Ships to US and worldwide. Price: Plans start at $15. Sign up here! About the box: Blue Bottle Coffee is a chic Oakland-based coffee company that serves high quality coffee blends. Blue Bottle’s subscription connects you with their best roasts of sustainable, seasonal coffees. They’ll ship their beans within 48 hours of roasting, so that they arrive fresh, flavorful, and ready to grind. Flavor profiles: When you subscribe, you’ll choose between single-origin coffees, blends, or espressos. The whole-bean coffees range in flavor, from fruitier varieties to rich, chocolatey tastes. Ships to Australia, Canada, Germany, France, Italy, Japan, The Netherlands, New Zealand, Switzerland, the United Kingdom, and the United States. Price: $67.75 (or $14.95 per bag). Sign up here! Coupon: Get a a free half-pound bag and pay just $1 in shipping when you buy an Amora subscription. No link necessary, just use this link! About the box: Amora Coffee is a coffee subscription that offers flexible plans for almost any palette or preference. You choose your blend preference, grind (ground or whole bean), and type (regular or decaf). Flavor profile: Amora has 8 gourmet blends to choose from, ranging from light and smooth to dark and spicy. Mix and match the varieties that suit your tastes and change your selection at any time. Check out our Amora Coffee reviews to learn more. Ships to the US. Price: Plans start at $19.00 per month. Sign up here! About the box: Nomad Coffee Club sends subscribers 100% organic, fair-trade coffee sourced from countries like Guatemala, Costa Rica, Ethiopia, and Brazil. The brand makes a serious commitment to sustainability—the coffees come from small farms, the company is part of the Rainforest Alliance, and purchases support getting proper wages to coffee farmers around the world! Bags are roasted to order for optimal freshness. Flavor profiles: Each month, you’ll receive a different single-origin, blend, or espresso coffee. Check out our Nomad Coffee Club reviews to learn more. Free shipping to the United States. Price: Plans start at $10.99 per month. Sign up here! About the box: Angel’s Cup is all about tasting flights, similar to what you’d expect with spirits or wines. It’s a great way to try different coffees without having to buy a larger bag. They rotate their unique coffees every 4 weeks, so you can expect lots of variety. If you happen to enjoy a particular batch, you can order more directly from the roaster. Flavor profiles: This subscription focuses on the third-wave coffee experience—complex, 100% arabica coffees, some of which are single-origin, but all of which are delicious. When signing up, you can choose light, medium, or dark roasts to match your preferences. Check out our Angel’s Cup reviews to learn more. Free shipping to the US. $6 to Canada. Price: $29.00 per month, or save with longer subscriptions. Sign up here! About the box: Coffee Crate sends subscribers coffees from Carolina purveyors each month. Each crate features 3 different roasters, from micro-roasters to well-known brands. Some of the boxes also include local surprises, as well as detailed descriptions of each roast. Most of the farmers and small business that Coffee Crate works with are fair-trade certified, organic growers, direct farm trade, or Rainforest Alliance certified. Flavor profiles: These small-batch coffees cover a wide variety of brews. Free shipping to the continental US, $7.99 to Hawaii and Alaska. Price: Plans start at $8.99 per month. Sign up here! About the box: This subscription box is made for your Keurig! Each box comes with new artisan coffee pods to discover. Enjoy them at home or up your office coffee game each tasty monthly assortment. Flavor profile: The pods range from light roasts to dark, and even include special flavors. Check out our Single Cup Club reviews to learn more. Ships to US only. Price: Plans start at $19.95 per month. Sign up here! About the box: This coffee subscription pairs a flight of international brews with snacks and treats to complement the flavors. There’s also a pairing guide explaining the picks. It’s the perfect treat for a coffee lover! Flavor profiles: The flavors are random rather than personalized, and range from light to dark. Check out our Match Made Coffee reviews to learn more. Free shipping to the US. Price: Plans start at $15.00 per month. Sign up here! About the box: Not only does this subscription connect you with delicious new coffees to try—it’s also one of the few subscriptions that offers a weekly shipping frequency, so that heavy coffee drinkers (or folks who love keeping lots of flavor options on hand) will never find themselves without new coffees to love. Flavor profile: Fresh roasted 100% arabica coffee shipped to subscribers right after roasting to ensure freshness. The roasts range from light to dark, and they offer decaf, as well! Check out our Heartwood Coffee Club reviews to learn more. Ships to US and Canada. Price: Plans start at $29.99. Sign up here! 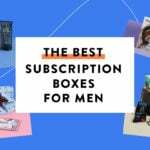 About the box: Along with “something to sip on” (tea, cocoa, or of course, coffee), this subscription also includes a book (in a category of your choice), small gifts, and even self-care items. It’s a great pick if you’re eager for a pampering experience rather than a simple cup of coffee! Flavor profile: Discerning coffee drinkers might want something more sophisticated, but the simple coffees, teas, and cocoas in this box are a great match for folks who like coffee as a simple treat rather than an artisanal experience. Check out our Coffee & a Classic reviews to learn more. Ships to US only. See all of the coffee subscriptions available in our directory!